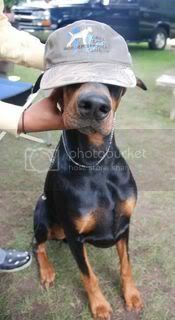 Doberman Forum : Doberman Breed Dog Forums > General Discussion - Non Doberman Related > General Off Topic Chat > What are you reading? Wesley the Owl - if you think dating with Dobermans can be challenging, imagine having an unfriendly, male aggressive owl living in your bedroom! Ooops....dog specific. I'm not reading anything dog related now but there's a book called "Dog on It" that I read not too long ago that was pretty good. I recommend James Herriot books as well. The first two have been great! Dog related books are Oogy and Marley and Me! Really good and sad. I am also getting ready to read A Dog's Purpose. We don't have children because our dogs are allergic to them! Last edited by Capone's Mommy; 06-30-2011 at 07:00 PM. And I just ordered Merle's Door - thanks for recommending it Luvbirds & Faireview! A Dog's Purpose made me cry...a lot. Good book though! Titles: Juno: IPO, flyball, UKC conformation training. Dog related, getting read to read Oogy as well, then Saving Gracie. Finishing a few books I never finished.. The Goats, Crank, Glass, then I'm picking up more from the library.. 1.) Marley & Me ---Thankfully after reading this book I knew what the warning signs for bloat and was able to get our old boy Logan to the E-vet in time! 2.) Dogs Don't Bite When a Growl Will Do: What Your Dog Can Teach You about Living a Happy Life --- Love this book! That's all I can think of right now. Sorry, I love books! But out of all, The Eighty Dollar Champion is a must read. Even for those not that interested in horses, it describes a lot of the attitude and conditions in society post war. It doesn't get too technical with the horse training, etc. And the auction the horse was bought from is still going on today. I am currently reading a great book about military working dogs (MWDs). The book is written by Mike Ritland with Gary Brozek; it is not about the average MWD, it is about the very elite Trident K-9 Warriors (also the name of the book). Mr. Ritland served for about 13 years in the SEALs. He was a member of SEAL Team 3, and later a BUD/S instructor. After leaving the navy he started his own company to train dogs for the SEAL Teams. "Today he continues to supply working and protection dogs to a host of clients, including the U.S. government and Department of Defense. He also started the Warrior Dog Foundation to help retired Special Operations dogs live long and happy lives after their service". It is not a dog training book, but it does cover a lot about the history, selection and training of these wonderful dogs. 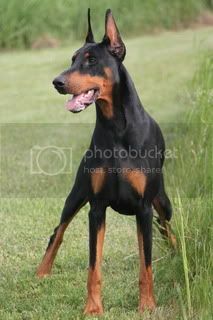 Many of the ways used to build the bite of the SEAL dogs can be applied to sport dogs and will help to produce a superior competition dog. I cannot say enough about this book-buy it. dog related, I finished up both Wallace and Oogy then just about sobbed myself to death. currently reading Tell The Wolves I'm Home. So far, it's really good! Don't shoot the dog - Karen Pryor currently. Some favs are Big Red (don't remember the author but it's about an Irish setter) Art of Racing in the Rain, Kovack, of course Where the Red Fern Grows ... I'll think of others lol I've read a million!! Where The Red Fern Grows is HANDS DOWN the best book involving dogs that I have ever read in my life. Its a classic and its amazing.